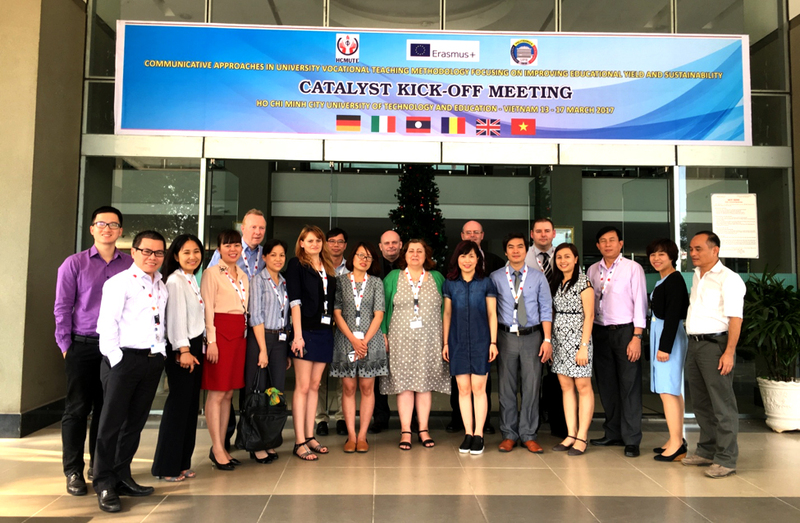 Formally started from 15 October 2016, the 3-year project CATALYST is co-funded by the ERASMUS+ Programme of the European Union aiming at capacity building in selected HEIs in Vietnam and Laos with close professional cooperation and supports of European partners. 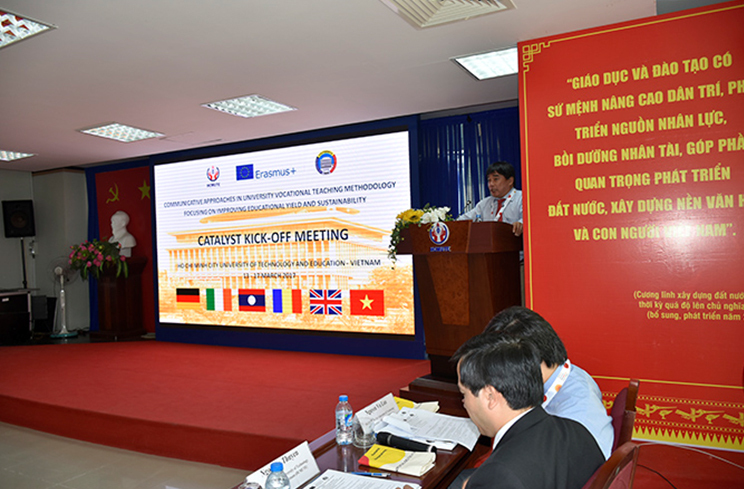 The specific objective of CATALYST is the development and implementation of a comprehensive pedagogical Core Curricula using an ECTS/Tuning Modular design for university vocational teaching for Vietnam and Laos. • Implement English for Specific Purposes training as a QA mechanism to ensure effective Programme Country participation. To use this package for future training needs at Partner Country institutions. • Implement Pedagogical training for Programme Country participants to ensure the Programme Countries produce a proper Core Curricula developed to local needs curricula. • Conduct Quality Assurance training for all participants at Start Off meeting to ensure full implementation of project goals and to ensure understanding of Quality Plan and Contingency Plan. • Ensure setting up of Online Platform after needs analysis in Month 2 of project for uploading of all academic and administrative documentation. • Create clear understanding of management structures for smooth operation of academic and administrative activities. • Develop programme with clear focus on persons with disabilities. • Develop and implement a clear strategy to maximize Dissemination effects of two National Programme Country Project Status Conference Awareness Days. • Develop transparent, national and international, educational standards and comparable learning tools and teaching standards in accordance with Bologna criteria. • Support the internationalisation of participating EU and PC institutions and support staff and student mobilities and exchanges. • Ultimately improve the quality and participation of graduates in the educational system and in employment. 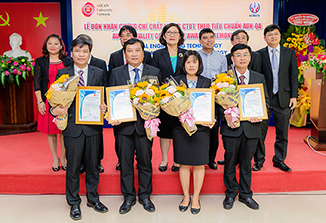 Having been selected as the Vietnam Regional Coordinator for the project, HCMUTE has a great chance to not only follow up well with but also contribute to the smooth implementation of the project. Furthermore, international academic cooperation between the university and other partners thanking to this meaningful project is strongly expected. HCMUTE was honoured to host the Kick-off meeting of the project on its campus in December 2016.